It was rained the morning of Clarrise’s three-hundred-and-sixty-first birthday. It wasn’t the most important factor of the day, or the most obscure event that took place, but it was the first thing that Clarrise noticed when she woke up and it was, she decided after some thought, a sign that things were about to go wrong. She was right, and sitting in her lounge at three o’clock she congratulated herself on just how right she had been. The gunman who was waving his pistol far too close to her face failed to see how this was amusing, but after three hundred and sixty one years you had to see the funny side of these things. She found the sound his wrist made especially humorous when she snapped it backwards and sent the gun clattering to the ground. The accomplice screamed more loudly, more shrilling, the sound rattling against her ear drums in a annoying fashion that had her ending him quicker than she would have liked. ‘Do try harder darling,’ she sighed. So, Fred sends these people in to amuse her? Very interesting! Obviously she is very good at it to have lived 361 years. Great story that I enjoyed reading! I have a question. Shouldn’t the first sentence read, “It rained the morning of Clarise’s three-hundred-and-sixty-first birthday? 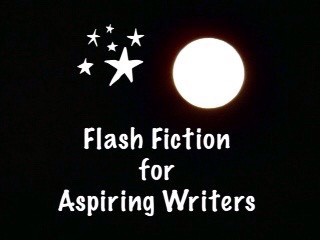 This is a great story and thank you so much for participating in Flash Fiction for Aspiring Writers Challenge. If this is your first time, (if not, forgive me for forgetting), Welcome! And, I hope to read more of your stories in the future. A most bizarre tale Carol. A lady so old and so agile for one and with a perverse view of humour. Though after so many years maybe that’s where ones humour goes.